Beyond The Mind | A new approach to meditation that can improve your happiness, wellbeing and productivity – in just 10 minutes a day. Dr Ramesh Manocha is an Australian GP and researcher based at the Discipline of Psychiatry, Sydney Medical School, Sydney University, where he coordinates the Meditation Research Programme. 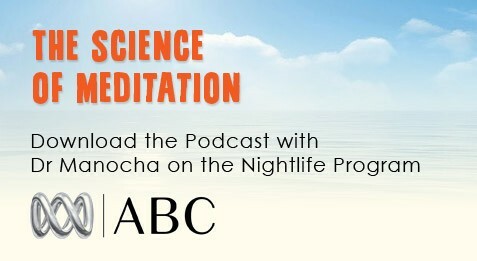 For the past 15 years he has conducted clinical trials and scientific investigations into the practical applications of meditation. As a result he is now recognised as a leading authority in this field. Recently, Dr Manocha founded Generation Next, a national education programme aimed at educating professionals and parents about the mental health crisis facing our young people and how to deal with it. Through scientifically based research SILENCE YOUR MIND shows how meditation can fit into your busy schedule to improve your sense of wellbeing and increase the quality of your life. Signup for our Newsletter offering Meditation techniques & more.